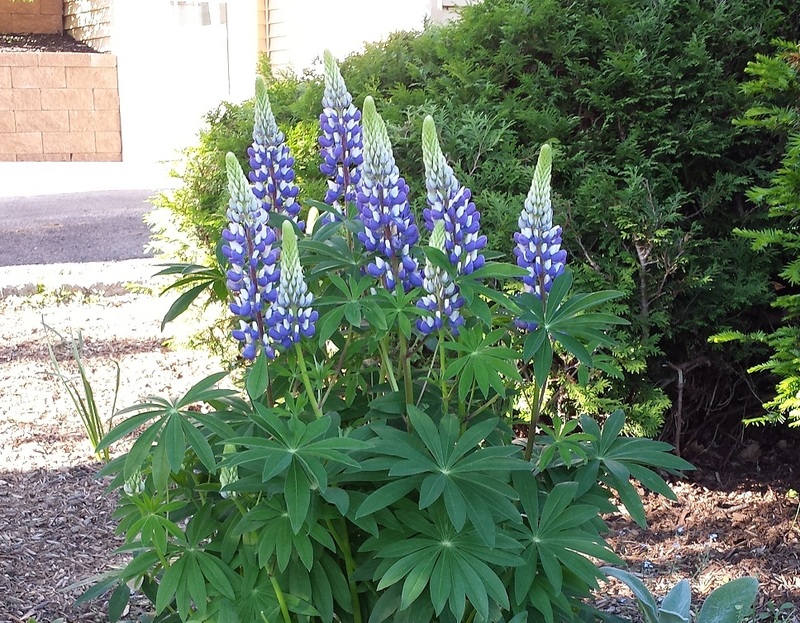 A couple of years ago I decided I wanted to try growing lupins, also known as Lupines. I figured they must be hard to grow here in Syracuse, New York because we don’t see them in many gardens at all. I actually had a hard time finding a “ready-to-plant” lupin, but was able to grab one at our local market. I bought one plant to see how it would turn out, and in its first year it wasn’t really what I expected. The plant only displayed a few blooms that seemed to die out very quickly. So I decided to hit the internet to find out what I could do to get more out of the plant, and in its second year pictured above and below it’s one of the most attractive spring bloomers I have. Not only is it beautiful, but I also learned lupins have a few other advantages as well. So I’ve put together a list of some fun facts about lupins and also some growing tips below. There are over 200 species of lupins, and they are most diverse in North & South America. Lupins are tap-rooted members of the pea family. The legume seeds of lupins, or lupin beans, were extensively cultivated throughout the Roman Empire, and have been used for food for over 3000 years. Some strains of lupin, such as the yellow bush lupin are considered invasive weeds. 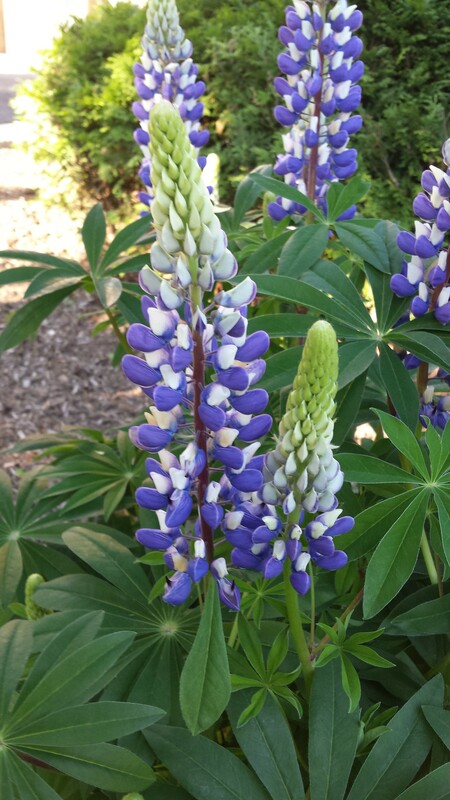 There are only a few varieties that are grown in home gardens, most notably the Russell Hybrid Lupine that were developed by a gardener named George Russell. Lupins attract pollinators such as butterflies, and their larva, bees of all types, and hummingbirds. Lupins can be grown from seed sown straight from the plant, or from old seeds. Old seeds should be pre-soaked. If you grow “ready-to-plant” lupins the plants should be very young so they can develop a deep tap-root. Lupins don’t like to be moved so be sure to plant them in a permanent spot. If you must divide your lupins do it in the spring. You can take basal cuttings April-May for propagation as an alternative to dividing. Lupins grown in full sun offer the best blooms. They should be grown in well-drained, slightly acidic soil. Fertilize your lupins with a simple all-purpose fertilizer once every two weeks until they flower. You should deadhead spent flowers for longer life, but I am going to let the last spikes go to seed to see if they will spread on their own. You can cut them back after flowering to see if you can get more blooms, but it take a long time, better to cut them back in the fall. Aphids may attack your lupin, so do your best to attract or acquire some ladybugs. Slugs and snails love lupins so be sure to pay close attention and take action if they attack! As always don’t forget to sign up over there to the right for regular TUFF GUARD updates, and all things garden hose related! ***Follow us on Twitter at @tuffguardhose, and LIKE our Facebook page for regular updates & share. This entry was posted in Birds, DIY, Gardening Tips, Homeowner, Indoor Gardening, Landscaping, Reviews & Testimonials, Uncategorized and tagged Garden, Garden hose, garden watering hose, gardening hose, George Russell, Lupine, Lupinus, Plant, Roman Empire, Seed, South America, TUFF GUARD The Perfect Garden Hose. Bookmark the permalink. Visit TUFF-GUARD's profile on Pinterest.